Mike Potter, the organizer of Macstock Conference and Expo, announces the speaker and topic line-up as the kick-off to our Road to Macstock series. This year’s event has expanded to two full days of sessions, will include more networking time, and even a game show. Mike takes us through the changes that were audience-request driven, profiles some of the presenters both new and returning, and covers some new components of the conference. Finally, Mike notes early bird pricing that ends soon, so sign up quickly! Michael Potter is the Executive Producer of For Mac Eyes Only and organizer of Macstock Conference. Mike’s love-affair for all things Apple began in his Junior High’s Library playing Lemonade Stand on a pair of brand new Apple ][+ computers. His penchant for Apple gear continued to be nurtured by the public school system when, in High School, he was hired as a lab supervisor to help run the Apple ][e lab for his fellow students and their Print Shop needs. Then, further still, in college he often opted to help a friend with her Computer Graphics coursework instead of focusing on his own studies — but only because it helped get him closer to the Mac-lab. The first Macintosh that Mike could truly call his own, was a sad little Mac Plus he picked up from a garage sale for $20 with the intention of turning it into a Macquarium. When he flipped the switch and found it still happily booted, he didn’t have the heart to gut it and, instead, nursed the little guy back to health by installing a new hard drive and upgraded SuperDrive. A similarly rescued Macintosh SE/30 soon followed. His collection of Macs and other Apple gear grows larger each year. 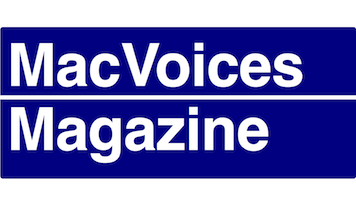 Since his Mac podcast was first unleashed to a wary public in the Fall of 2006, over 350 episodes of For Mac Eyes Only, and more than 135 Quick Tips and other Special Segments have been produced to date. Now in its third year, Mike finally saw his dream of bringing the Apple community together in one place when he held the first Macstock Conference in 2015 near Woodstock IL. Through it all, Mike’s favorite part of producing the podcast and running Macstock continues to be the opportunity to make new friends within the ever-growing community of Apple fanatics.